Easy-to-use SINUMERIK CNC is now even more easier to learn with Easy CNC App. 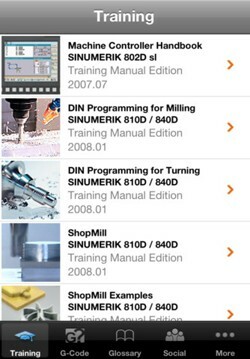 Siemens Easy CNC App for iPhone and iPad. 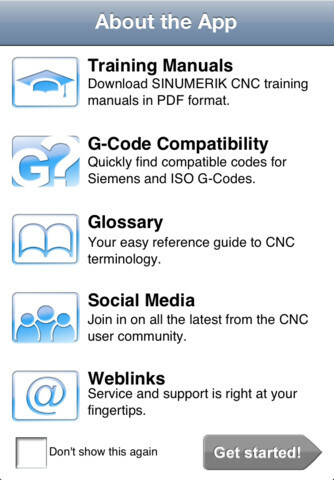 Siemens Easy CNC App contains all the current SINUMERIK training manuals and will ensure you always have the latest updates. No more heavy books to carry, giving you access to over 4000 pages of vital CNC training lessons and content in the world’s most portable format. In addition, a handy G-Code Compatibility tool lets you quickly find compatible codes for Siemens and ISO G-Codes. 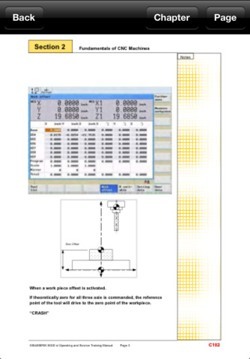 The glossary feature is your reference guide to CNC terminology. Web links to CNC social media feeds open doors to Siemens online user community.